Archie Comics continues to aim for stories that will get them free publicity. This time it’s gender-swapping. 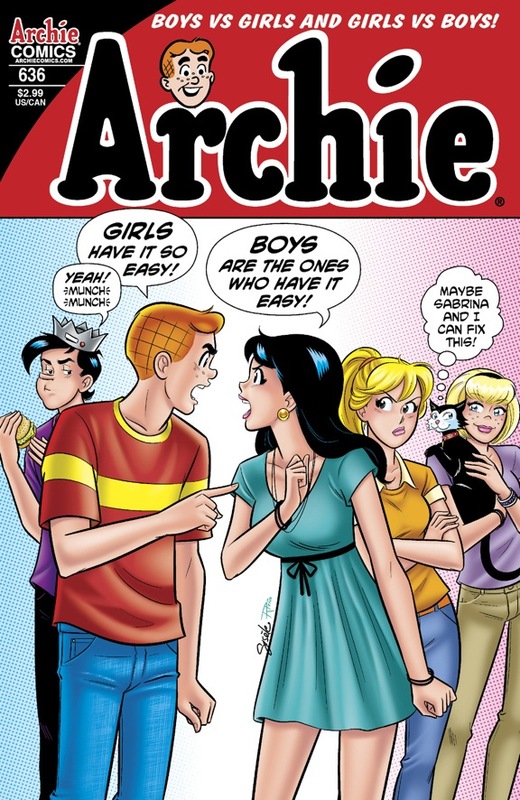 Per Comics Alliance, Archie #636, due in August, will feature a female Archina and her boyfriends Billy and Ronnie. Sabrina the Teenage Witch is involved, as her cat wants to show them how the other half lives and she has to flip them back. 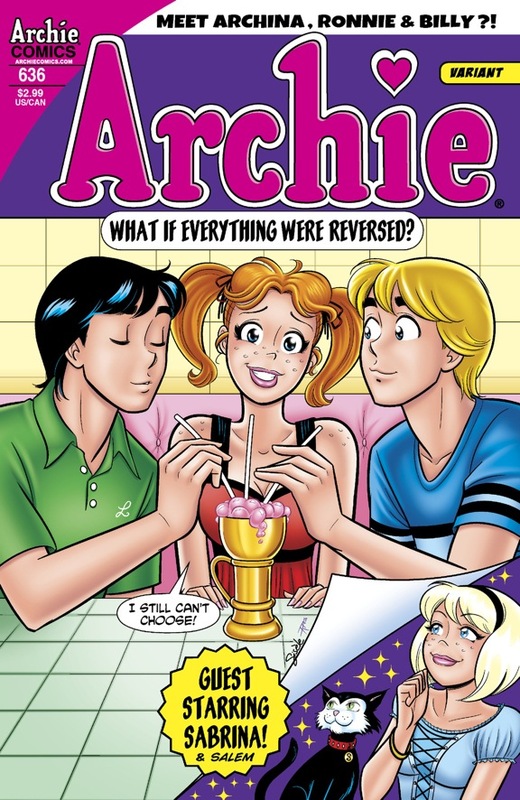 There will be two covers, with the variant (shown second below) giving female Archie a particularly weird expression. The boys are way cute, though! The story is written by Tania del Rio, who spent several years creating the manga version of Sabrina, so she knows her stuff. Art and covers are by Gisele, continuing from the previous issue, which features Occupy Riverdale.